Erin O’Dowd weaves Folk, Roots, and Classic Country influences into a fresh brand of Americana that’s as inventive as it is nostalgic. The Nashville based singer-songwriter’s stunning debut album, Old Town, released everywhere May 4th on Horton Records. Old Town, which means Tulsa in the Mvskoke (Creek) language, gives a warm embrace to the artist’s hometown, where the project was recorded by Rolling Stone acclaimed singer-songwriter Travis Linville. The ten song LP showcases a treasure trove of Okie talent, including John Fullbright and his backing band, and a wide array of instrumentation by Linville. 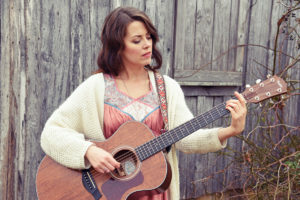 Having opened for Kenny Rogers, David Sedaris, and Braison Cyrus, and played dates at The Blue Door, The High Watt, and Cain’s Ballroom, O’Dowd has been turning heads with her lilting, pure voice. With lines like “Memories of you fade and scatter like fallen leaves/ into the background, behind the trees/ here’s where I find it, a peace so wide/ and I don’t have to let you inside…” it’s not hard to understand why O’Dowd’s first single, “Robin’s Egg Blue,” won John Prine guitarist Jason Wilber’s songwriting competition… and it’s not hard to explain what’s put her on the map.